Honey Bicycles: Pure. Simple. Steel or Titanium. See how Honey is the ONE. Exclusively at Ride Studio Cafe. Honey models are on our floor and ready to be demo ridden. Allroads is the perfect adventure bike! It's a bike that can take on all roads: it's speedy on pavement, confident in the woods, steps lightly through sand and stops well with disc brakes. Fenders and racks are mountable and the gearing helps the rider take on any ascent or descent. All Roads is the perfect adventure bike! It's a bike that can take on all roads: it's speedy on pavement, confident in the woods, steps lightly through sand and stops well with disc brakes. Fenders and racks are mountable and the gearing helps the rider take on any ascent or descent. This progressive design is a performance endurance bike. Ideally suited for randonneuring or the "long ride" on any road -- pavement, dirt, or gravel. It fits fenders for the harsh weather season and even fits studded tires for cold winters. A true four-season bike. The MidDurance is a medium-reach caliper brake bike for light weight and tire versatility. The bike fits up to 33mm slick tires, 32mm knobby tires, and 30mm studded tires. Winterando is a randonneur bike that is the machine that can do everything better than most bikes combined. Outfitted with 33c tires and fenders for winter conditions and when it's time, switch tires and fly on this bike in any group road ride. We now have a demo tandem Honey! Cyclocross race bike with Disc brakes. It's lightweight and this particular limited edition bike is a result of a collaboration with the Hup United team. Final 200 Meters race bike. Fast, lightweight and incredibly smooth. It sticks the sprint for the win. And it looks good in the process. See the all-new bikes that lead the pack: the fastest, lightest and stiffest Honey bikes ever are here. Much more information about this bike can be found on the Honey website. 29er Mountain Bike is shown with disc brakes and XX1 gearing for a supremely smooth off-road mtn bike ride. This bike is built to accelerate without a moment of hesitation. Hang on, it might get away! 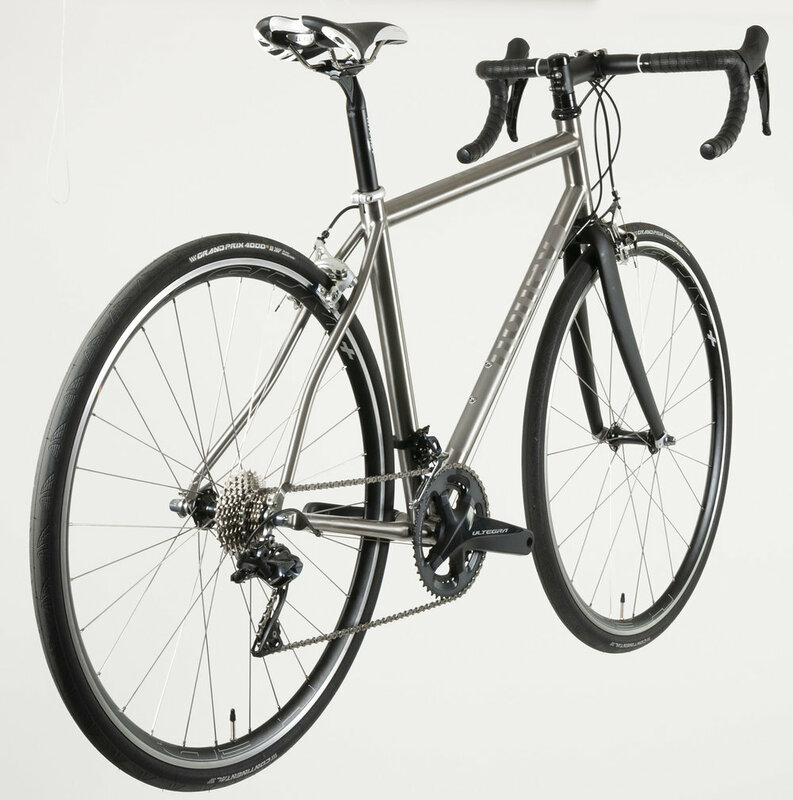 This feather-light steel bike proves that steel bikes, when innovatively designed, can weigh less than their carbon competitors. Not only is this a bike muscles its way to the front of the pack, but it also isn't susceptible to breaking the way most race bikes are. If it's true that a bike needs to look fast to be fast, this bike will break records. From its wheels to handlebars, every part has been chosen to maximize its performance while minimizing weight and cost. Honey bikes come in 12 different sizes. We'll help you choose a Honey frame that fits along with proper length stem. Choose from paint colors and schemes Honey offers. In addition to wanting you to ride the bike of the right size, we gladly swap components and wheels so you get those that are best suited to your riding style. Full bike photos, prices and kit information are available in-store now. If you're anxious to hear more sooner about these bikes, email us and we will share the details with you. Visit the Honey Bikes website for more details and information. Visit us to demo Honey bikes!